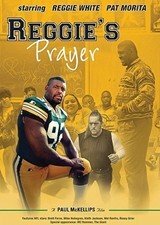 Football Hall of Famer Reggie White made his only screen appearance in this inspirational drama, playing an ex-gridiron star who becomes a coach and 10th-grade history teacher at an inner-city high school. When a neighborhood thug recruits kids into a life of crime, Reggie goes into action. With Pat Morita, Rosey Grier, Brett Favre, and MC Hammer. 94 min. Soundtrack: English.